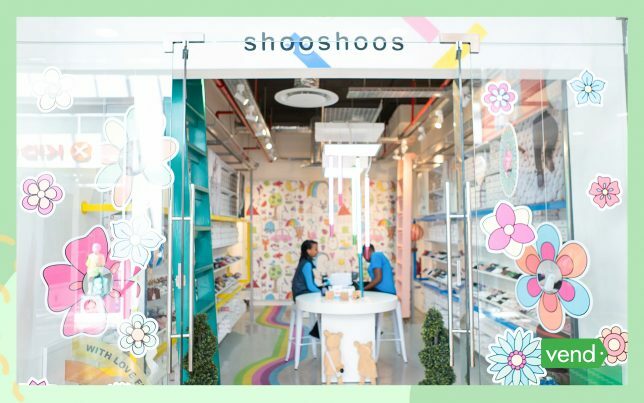 Shooshoos are a playful, fun and active brand that sell high quality leather baby shoes, toddler shoes, childrenswear and accessories at two beautiful boutiques in South Africa. The company was founded in 1994 with the goals of bringing a trendy and high quality product to the South African market and helping local communities through job creation. 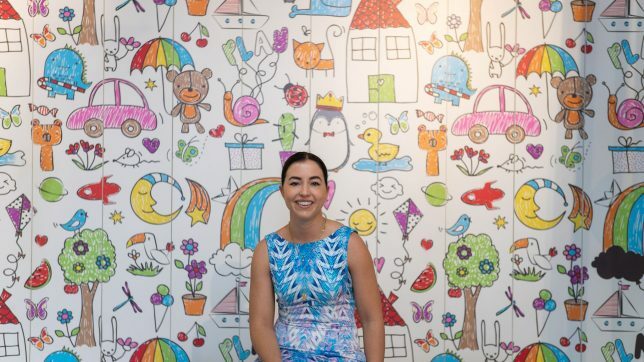 Gill Bowen took over the business in 2014 and loves being part of the retail world and baby industry. Read on to find out why and get inspired by her growth plans and how she’s revolutionised Shooshoos in-store tech with Vend point of sale. Why do you love working in the retail industry? The biggest thing for me is that everyone in the baby retail industry is happy. Customers are at a new phase in their lives, they’re excited and cherishing the small moments. One of the biggest things for a parent or grandparent is when children take those first steps. We get to be part of that journey and adventure and it’s very special. A lot of our customers are gift-givers excited to buy shoes for someone new, like grandparents expecting a grandchild. Mums too! They come in and love the high quality of the shoes, they are excited to touch and wear the product. It’s amazing. How do you create a great customer experience in Shooshoos? Our store is extremely bright, playful and inviting. We use bright colours and have amazing wallpaper. We also tap into different senses — like smell. We have a scent in our store that’s strictly a Shooshoos scent — a candy-waffle scent. It adds delight to the customers’ experience. We like to make shopping as easy as possible for our customers. We have all the products out on the shelf so they can see the full range, we don’t have a store room. We also have quick customer service and make it quick and easy to pay via Vend point of sale on an iPad. The shorter and easier we can make the transaction the better, especially for a Mum who’s busy. What are you doing in-store to grow your retail business? What can independent retailers do differently from big box retailers? We’re in a tourist market so we’re working on an around-the-world kind of line that speaks to the specific country the customer is from. It’s something made locally in Cape Town that they can take home. Customers immediately relate to this, it’s a special gift. We’re also extending our product line to age six, which basically doubles our market. We’ve introduced a new sub-brand called Play-Play, which is anything that isn’t handmade shoes. We’re doing wellington boots, flip-flops, knitwear, garments, beanies, and accessories. We’re also planning on expanding into the U.S market and our end goal is to become a household known brand in the U.S.
Social media makes people more aware of what’s out there and available to them, and they are getting more knowledgeable about what they want. Big-box retailers are commercialised and on mass, and people are starting to look for more experiential, interactive brands that they believe in. I think it’s much easier for a small retailer to create a brand experience, trust, and a relationship with the customer compared to big-box retailers. 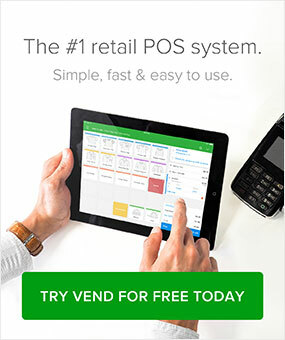 What kind of point of sale were you using before Vend and what led you to choose Vend? When we took over the business we inherited a different point of sale system and didn’t really know any different. I’ll never forget the night before our opening, we had literally finished painting the night before and everything was beautiful. They came to install the point of sale software and brought in a big, clunky, black computer with a huge screen and big printer. Our little boutique store just got sucked up by this massive point of sale system. Loading stock onto the system was an absolute nightmare − it took forever, and making any changes was a mission. When we opened our second store I decided that we needed to have our POS on iPad. I wanted an interactive offering to our customer, a hands-on and non-intimidating experience like in an Apple store. Our old POS couldn’t run on iPad so I started researching point of sale systems. I found Vend in one day, spoke to the UK team who referred me Iridium, their local partner in South Africa who I had a meeting with the very next day. Peter from Iridum was really great at getting us setup. He trained our staff in about an hour − he’s been amazing. Whenever I have a question I just message him and he sorts us out right away. Vend does everything I need, integrates with Shopify, and stock is really easy to load. I’m also always on the road and with Vend I can manage things from my phone and track sales. Vend is a dream compared to what we were using before. How do you find using Vend in store? How does it help you run your retail business? Vend has created a customer experience that doesn’t revolve around a big, bulky point of sale system in-store. Customers may not realise the impact but we’re now able to process sales in one-fifth of the time we used to. Processing returns is quicker and easier too. No matter where I am in the world I can pull up sales figures with Vend which is a massive thing for me − it’s made a huge impact on the business. It used to take us hours at the months end to sort out Excel sheets and data from our legacy POS. Now we can do it in five minutes. Vend’s monthly and weekly reports are easy to use and only take us ten minutes to download. 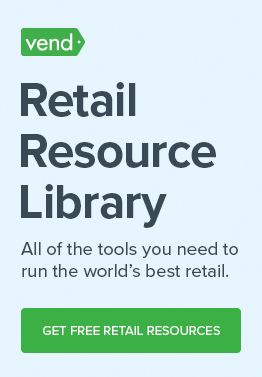 It used to take us a lot of time and now we just download reports from Vend within five minutes. That’s probably had the biggest impact on our business and saves us hours a week. Before Vend, we couldn’t manage out stock properly, we couldn’t even do stock transfers between our stores and warehouse. On Vend we can load stock really quickly which saves us hours in admin. We don’t have to wait until the end of the month to do stock takes − we can do it whenever we want, which means we’re able to make changes and be flexible. Now we can react to things faster − see what’s selling best, produce more, supply stores with more stock. Being able to do this on Vend has made a massive impact to our bottom line. How does the Vend + Shopify integration help your business? Moving our ecommerce over to Shopify was massive for us − suddenly we were able to do so much more on our website and stock was easier to manage. Our previous point of sale didn’t talk to Shopify. That meant the same stock wasn’t on the same system and it was an absolute nightmare, we couldn’t keep track of anything. Having Vend + Shopify integrated in our store has made the world of difference. The integration has given us more time, made managing stock easier, and now we can do stock exchanges, returns and transfers. It’s been a massive help and time-saver for our business. Lucia joined Vend in New Zealand in 2017 before flying across the world to join the London team. She works on all things marketing across the UK, Europe, Middle East, and Africa. Her passions and work experience include retail, production, and social media. When she’s not in the office, Lucia loves exploring London, planning trips, and trying to keep her plants alive.